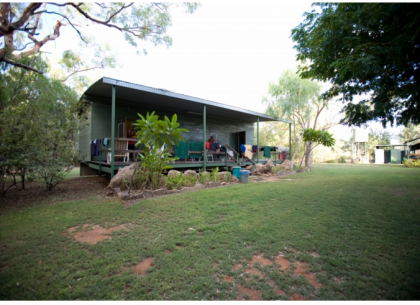 Adels Grove is located 10km from the Lawn Hill Gorge, Boodjamulla National Park and 50km from the world heritage Riversleigh Fossil fields. Visitors have the option of Camping or enjoying our dinner, bed and breakfast accommodation in either furnished river tents or rooms. Relax on our licensed deck area or by Lawn Hill Creek between swims.